Unlock LG Optimus L9 - Safe IMEI Unlocking Codes for You! Unlock LG Optimus L9 Handset! In case your Optimus L9 doesn't ask for the code and there is no designated field to enter it, please DON'T PLACE ANY ORDER, contact us first for support. Are you trying to unlock your LG Optimus L9 smartphone? If yes, use now our Instant Online Service! The process is easy and works 100%! We can unlock the newest LG phones, inlcuding LG Optimus L7 P705, LG Quantum, LG Thrill and others! Check out here more Devices! We are able to unlock the most GSM Carriers across the world, such as At&t, Fido, Vodafone, T-mobile, Rogers, Orange + all other GSM Carriers! How to Unlock LG Optimus L9 Phone - Tutorial! 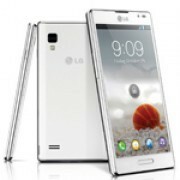 Please find bellow the steps you need to follow to unlock your LG Optimus L9 device. Can you provide code for LG Optimus L9 smartphone from E-plus Germany? It is possible to unlock my handset from Brazil, Secomtel? Do you have code for LG Optimus L9 from El Salvador Digicel?